In today’s economy, everyone could use a little extra money. If you already have a full-time job, you don’t have to look for another one. One of your hobbies, such as photography, could provide the income you need. More and more people are turning to the Internet for money-making opportunities in this trying economy. There are several advantages to online enterprises: low overhead, minimal outlay of cash initially and an abundance of potential customers. Because of this, if one enterprise doesn’t fit for you, it is not too hard to switch to another. Where do you begin to look for another income stream? Do you have any hobbies? You can start there. If your interest is in digital photography, then you could try the following enterprising ideas. Sell your photos online – Websites are always looking for stock photos. With too few photos, the same ones start popping up everywhere. If you have an eye for landscapes, faces, buildings and such, there is someone out there who could use your pictures. Create your own website shop – If you have a lot of photos that are just filling up your memory card, showcase them and get paid. There are sites online that offer free and for sale photos to various users. You could become one of those people. First and foremost, learn your trade. 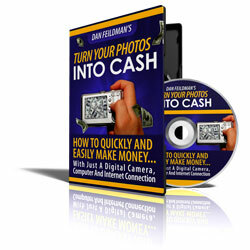 If you want to get involved in photography to make money, investigate how it’s done, especially in the online market. Check out some sites like iStockphoto.com, Fotolia.com and Stock-Photos.com. See what types of photos they specialize in and which one are the top sellers. Create your photo inventory. Divide your pictures into categories: landscape, flowers, architecture, food, locations, etc. Go through your photos and find the ones that you like best. Don’t get rid of any of them, although the better ones may sell easier. Edit your photos. You want to present the best possible shots for sale to photo sites. Also, learn the requirements of each site for submission of your photographs so that you can avoid rookie mistakes. If you provide professional quality work, you are likely to make more money with this venture. Advertise your wares. Sites like Fotolia allow photographers and designers to advertise in their free section. You can drum up work for yourself here and also from commissions for everyone who purchases your photos. If you have a website, the advertising will probably be more effective. Over time, you might find that a certain type of photo sells better for you. Niche photography could turn into a business that could take off if you want it to. In need of extra cash? If you have a talent for digital photography, try selling your pictures.